marta, a photo by fabio nada on Flickr. 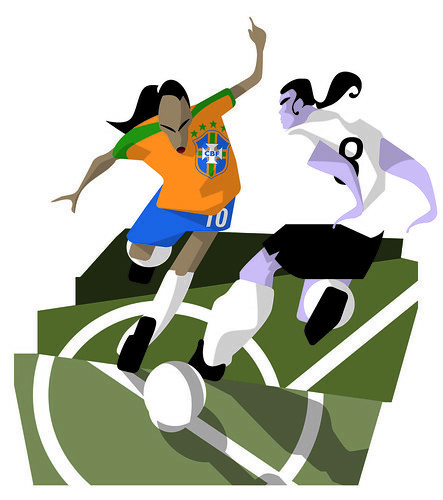 A fantastic vector illustration that captures an intense moment between two soccer players battling for possession of a ball. Love the unique style. So, Japan won in the FIFA Women’s World Cup yesterday in penalty kicks after a pretty intense game. Anyone watch it?